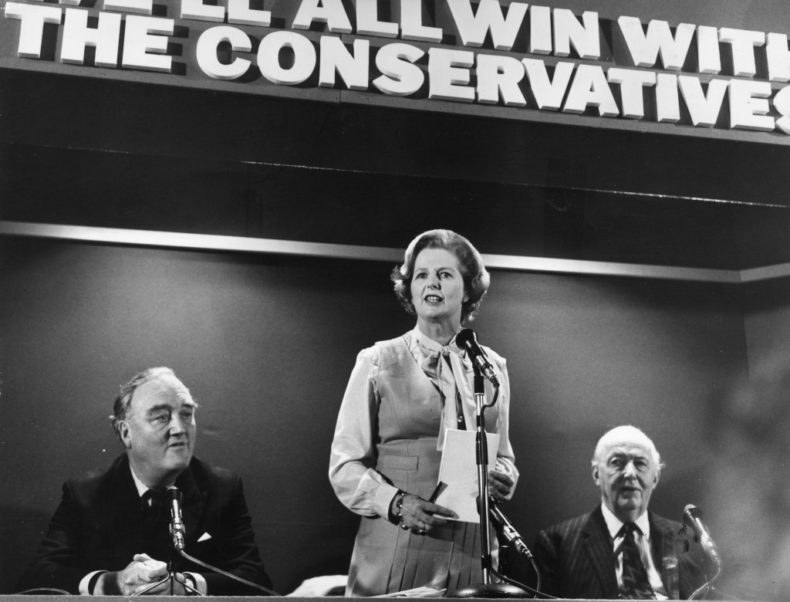 The question of how Margaret Thatcher won power in 1979 has become rather topical again as supporters of Labour MP Jeremy Corbyn argue that her victory shows you don’t need to tack to the centre ground to win elections. That is, however, a misreading of how the Conservatives won in 1979. It wasn’t by dragging the political agenda to the right or staking out radical territory. It was by presenting themselves as the practical party, in contrast to the chaos of the Winter of Discontent under Labour, and by appealing to the centre ground with messages about common sense and competence. It’s the story of that reality which is told by studies of the 1979 general election such as Britain at the Polls, 1979, and it’s that reality and current relevance which makes it a good book to read not only for historians but also for anyone interested in the future of Labour or British politics more generally. Published in 1981 it has aged well, thanks to the high-quality range of contributors who between them comprehensively cover the contest. There is some duplication between the chapters, but otherwise, the book does well at covering the broad spread of how the election came about and was contested. That the book is an American publication is helpful to contemporary readers because it’s peppered with explanations of the basic details of British politics, designed then for an international audience but useful too now for a British audience who is only familiar with the current or recent political system and so may not have prior knowledge of how much has changed since the 1970s. In amongst those details are some curios, such as the way the Conservative Party used to make a big surplus out of its fundraising in election years, and then use the leftover funds to pay for the leaner years after each general election. That’s the opposite of modern fundraising which is about raising money in non-general election years to fund a splurge in general election years (splurges which have now got so large as to break the election expense regulatory system). Or how although the Conservatives elected a female Prime Minister in 1979, she only had seven female colleagues in her Parliamentary Party. Nor was Labour – with 11 female MPs – much better. Most intriguing perhaps is the rating of various party policies from both Labour and the Tories, which cast some doubt on the traditional ‘Thatcher moved the country to the right after being elected’ narrative too. For there’s been a long-term leftward (or liberal) shift on several of the issues listed. The death penalty is now far less popular than in 1979, for example, and House of Lords reform far more popular – with non-ennobled members of the public, that is. [But] within Labour’s ranks … there is a widespread, alternative explanation for the party’s defeat: that the Labour Government was insufficiently socialist … The explanation flies in the face of all reality … Not a hint of [evidence for] this is suggested by either the election result or the opinion surveys. If you like this, you might also be interested in How political leaflets used to look: Robert Maxwell, Field Marshal Montgomery, house prices and some sheep. Buy Britain at the Polls, 1979: A study of the general election, edited by Howard R. Penniman here.